Wishing we were still in Italy…I can’t believe that we were able to see such a wonderful place! It was breathtaking in so many ways…the sights, the sounds, the smells. And of course, I am remembering some of the food that we enjoyed. 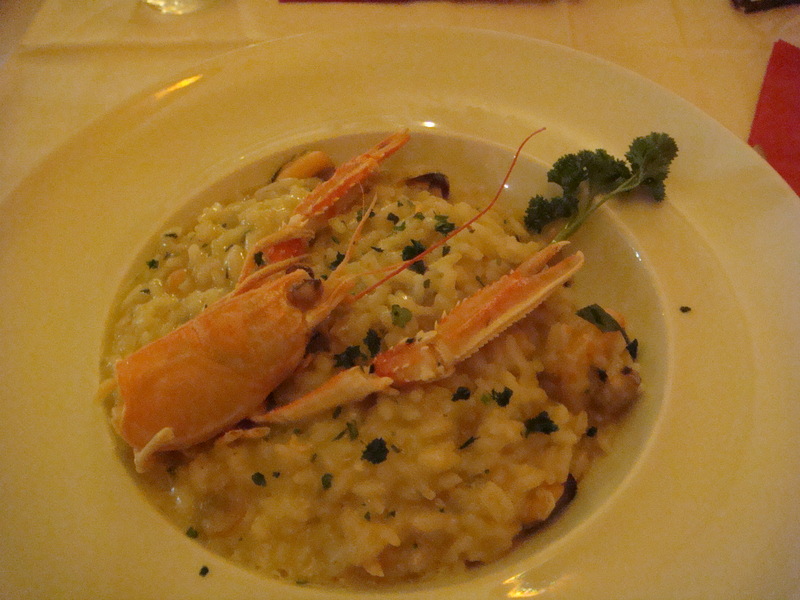 One of my favorite lunches was a seafood risotto in Venice…oh, it was so delightful! 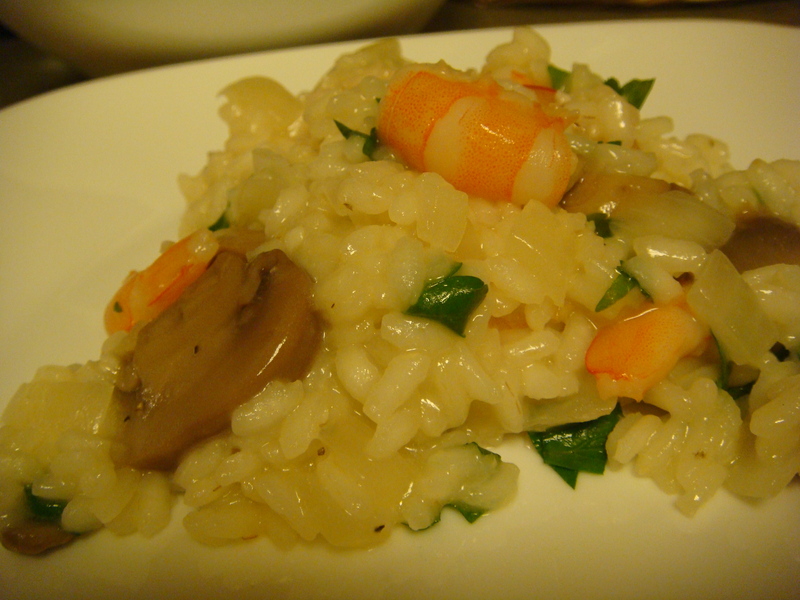 So it made me wonder…can I actually make a risotto that comes even close to that one? 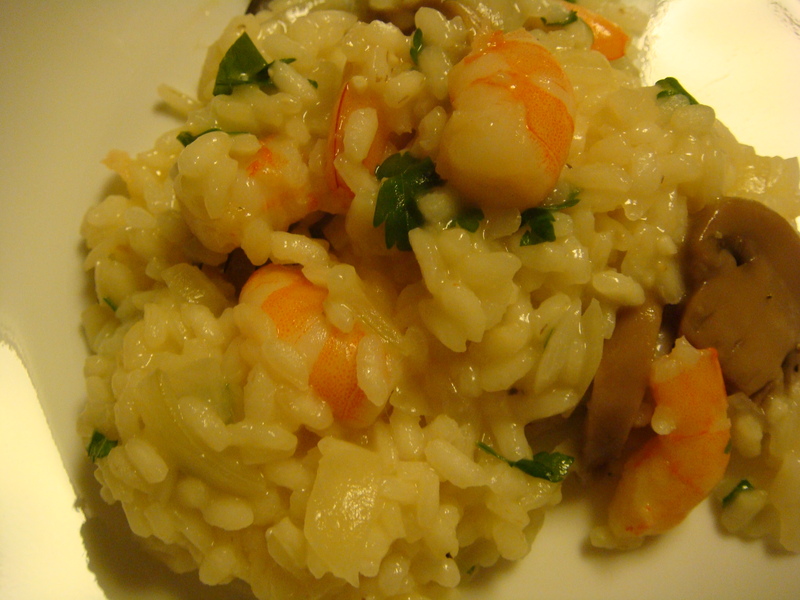 My quest for a shrimp risotto began. And this is what I came up with while cruising around on various food sites. I used ½ pound of cooked shrimp (I had a bag from Sam’s Club), so I didn’t have to sauté the shrimp….just added them in with the wine. I also added mushrooms when I added the onion and garlic. Since I had a bunch of fresh mushrooms that I didn’t want to waste, it seemed like a good idea…and it was! The only thing about making risotto is that you need to be focused on what’s happening in your skillet at all times. The risotto demands your attention in order for it to be creamy and smooth (you will be stirring it almost constantly) ….and of course, that’s the desired outcome! Risotto needs to be eaten immediately. If not, it may become dry! Who wants to eat dry risotto?? 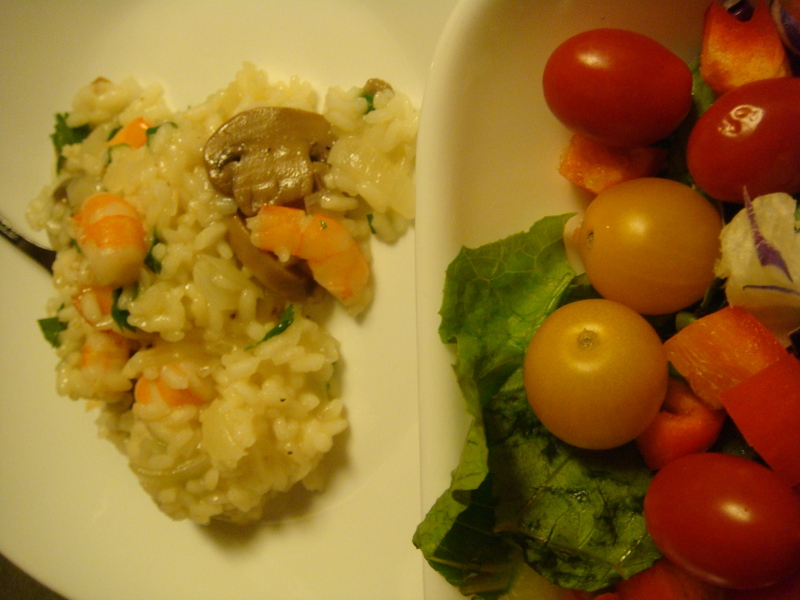 There you go…shrimp and mushroom risotto with a side salad. Delicious! 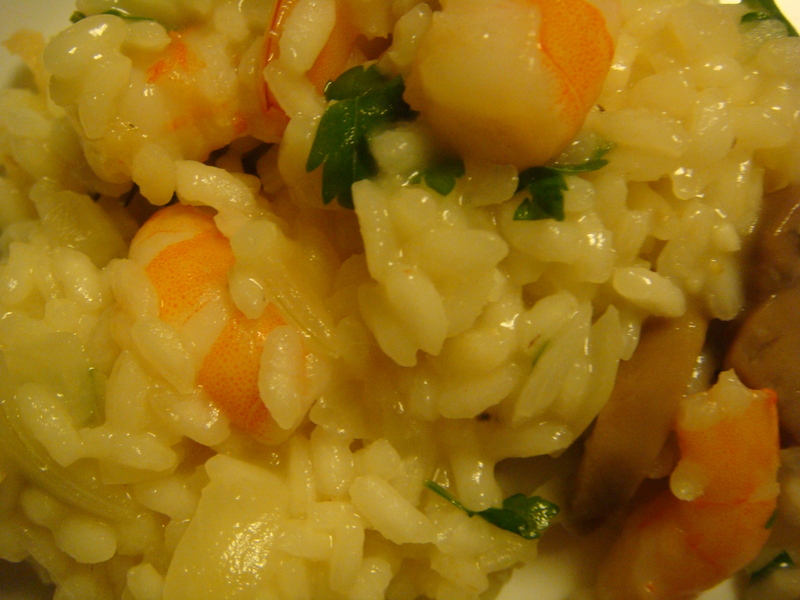 So if you’ve never cooked risotto, give it a try…it’s easier than you think! Your tummy will thank you….and be super happy!